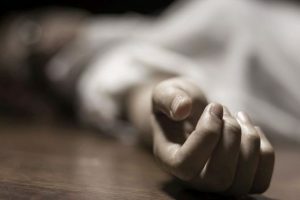 At least five people were dead and over 70 were hospitalised after consuming prasad at a temple in Karnataka’s Chamarajanagar on Friday. 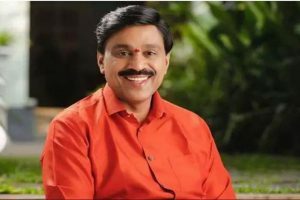 The audio clip, purportedly contained conversation between a confidante of BJP legislator B Sriramulu and a Dubai-based businessman discussing that at least 10 to 11 MLAs from the Congress and JD-S were ready to switch sides. A bus fell into a canal in Kanaganamaradi village near Pandavapura town in Mandya district killing 25 people. Chief Minister H.D. 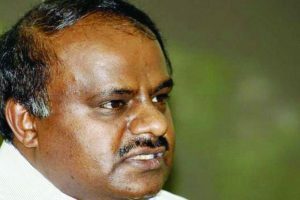 Kumaraswamy directed the district officials and in-charge Minister C.S. Puttaraju to monitor the rescue operations. 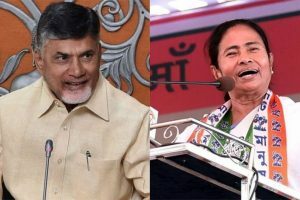 The meeting gains significance ahead of a meeting called by Opposition parties on November 22 in Hyderabad to discuss the formation of an anti-BJP platform. 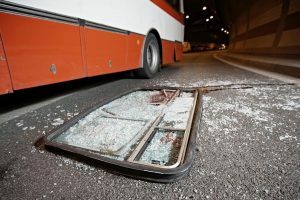 Reddy, 51, was arrested and jailed on Sunday after the judge remanded him in 14-judicial custody for allegedly helping the two accused in the Ponzi scam from being investigated by the Enforcement Directorate. Despite strong opposition by the BJP and other right-wing outfits, the Karnataka government announced it would celebrate Tipu Sultan's birth anniversary. 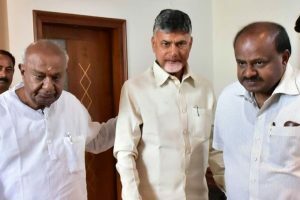 The Telugu Desam Party (TDP) chief who arrived in the Karnataka capital today met Gowda, the Janata Dal (Secular) supremo, at the latter’s residence in Padmanabha Nagar. Also present was Kumaraswamy. 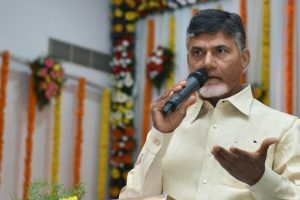 Naidu is facilitating the setting up of a common platform for the non-NDA parties to come together and is expected to meet DMK chief MK Stalin as well. 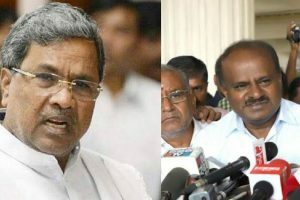 An elated Congress-JD(S) leadership thanked the people for blessing the party and expressed confidence in winning all Lok Sabha seats of the state in 2019. 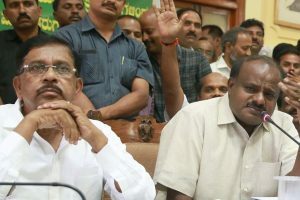 Kumaraswamy had subsequently met the representatives of the committee, and in an attempt to pacify them had promised several steps. The announcement comes in the wake of political pressure building against Kumaraswamy after Rajasthan, AP and West Bengal governments reduced fuel prices. 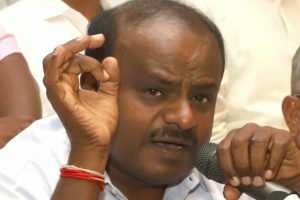 Continue reading "Bengaluru after all"
Karnataka Chief Minister HD Kumaraswamy on Saturday brushed aside questions on former Chief Minister Siddaramaiah’s assertion that he will become the CM once again. 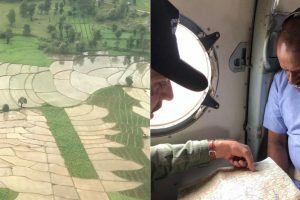 CM conducted an aerial survey to gauge the situation. Visited relief centres and the state government has announced a relief of Rs 2 lakh for those who have lost their homes and Rs 5 lakh to the families of the deceased. 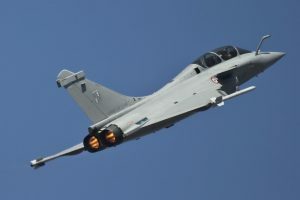 Karnataka Chief Minister HD Kumaraswamy conducted an aerial survey over rain-ravaged Kodagu district of the state on Sunday. 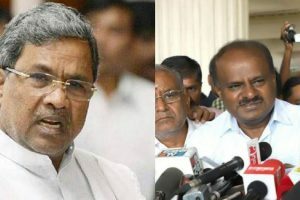 Continue reading "N Karnataka a region neglected by all"